After you have successfully logged into your account, you are asked to supply your ethnicity. Our Carrier Status* reports explain your results in the context of your ethnicity. Some associations between genotype and phenotype are better studied in certain populations and are most applicable to people of a particular ethnic background. If a genetic condition has been studied in your ethnicity, our reports may provide more detailed information for you. As new scientific studies are published, we’ll continue working to expand our tests to include variants applicable to more ethnicities. The Late-onset Alzheimer’s Disease Report*, Parkinson’s Disease* Report, and BRCA1/BRCA2 (Selected Variants)* Report require you to make an additional choice after you have agreed to receive health reports. If you tend to feel anxious or have ever been diagnosed with anxiety or depression, you may have more emotional difficulty with these reports. To learn more about the disease and report, click the “Learn more” link next to the title of the report on the reports configuration page. The Ancestry Composition report estimates what percent of your DNA comes from each of 45 populations worldwide**, reaching back about 500 years. It also tells you about your connection to over 115 Recent Ancestor Locations, which are specific countries where one or more of your ancestors likely lived within the last 200 years. Both of these analyses look at DNA you inherited from ancestors on both sides of your family. Learn more. Our Traits reports are a fun way to explore how your DNA makes you unique, from your food preferences to physical features. Learn more. Customers who purchased the Ancestry Service will be able to add all of the existing Carrier Status*, Health Predisposition*, Wellness and Traits reports later for an additional $125. Learn more. You will receive 125+ reports on carrier status*, genetic health risk*, wellness, traits and ancestry. You will also have access to interactive features to share, compare, and discover more with friends and family—including the DNA Relatives feature. 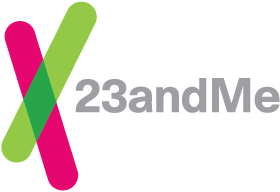 No, 23andMe reports do not diagnose any health conditions or provide medical advice. The 23andMe Carrier Status reports can tell you if you have specific genetic variants that you could pass on to your future children, from saliva collected using an FDA-cleared collection device (Oragene DX model OGD.500.001). Carrier Status tests are not intended to diagnose a disease, or tell you anything about your risk for developing a disease in the future. Each Carrier Status report is most relevant for people of certain ethnicities. On their own, these tests are not intended to tell you anything about the health of your fetus, or your newborn child’s risk of developing a particular disease later in life. The 23andMe Wellness reports make connections between your DNA that may relate to healthy living, however, other genetic and nongenetic factors may affect whether or not you display a specific trait. Consult with a healthcare professional before making any major lifestyle changes.